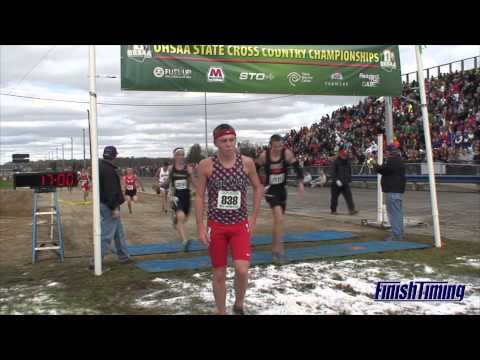 The 2012 State Cross Country Championships saw only one repeat individual Champion. Senior Sam Prakel of Versailles defended his title and bested his 2011 D3 record time by 2.72 seconds, in running 15:16.34. Two other National Trails records were set. Senior Sam Wharton of Tippacanoe established a new D1 Boys and National Trails record running 15:09.95. Lebanon Junior Jacqulyn Crow set a new D1 Girl's and National Trails record, running 17:39.31. The previous record was set in the girl's D2 race by Freshman Mary Kate Vaughn of Oakwood. Vaughn ran 17:41.57. Two teams repeated. Akron St. Vincent-St. Mary repeated as the D2 girl’s champion and Liberty Center repeated as the D3 girl’s champion. Three individuals and five teams return to defend their titles at the Dragstrip. With the outskirts of Hurricane Sandy sending rain and snow into Ohio throughout the week, we could be in for a sloppy and muddy course this year. Last year the course ran really fast, maybe this year it will be less of a race track and more of a test of strength at National Trails Raceway during the OHSAA State Cross Country Championship. HD video of the Girls Division I race. HD video of the Girls Division III race. HD video of the Girls Division II race. 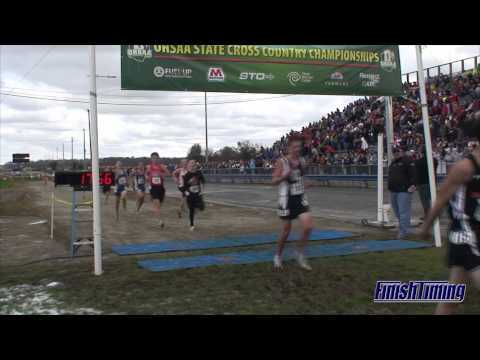 HD video of the Boys Division III race. HD video of the Boys Division I race.Sorry, we missed the first runner on this video. 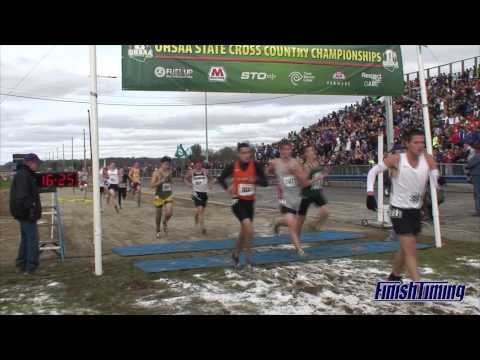 HD video of the Boys Division II race.